Dr. Ashby was born in Anderson, Indiana. He was raised in Indiana just outside of Chicago, Illinois. He attended Purdue University where he received a Bachelor's of Science in Biology. His dental education was at Indiana University and specialty training for Pediatric Dentistry at Children's Hospital of Cincinnati. Dr. Ashby and his wife Janet have lived in this area since 1986 and currently reside in Lewisberry, PA. His wife is a nurse practitioner in Woman's Health. They have four sons. Dr. Ashby is certified in Pediatric Advanced Life Support and is on the staff at the West Shore Surgery Center and Hershey Medical Center. He is a member of the American Dental Association, the American Academy of Pennsylvania Association of Pediatric Dentists, the Pennsylvania Dental Association and the Harrisburg Area Dental Society. Outside the office he enjoys his family, biking, photography and occasional woodworking. In 2014, Dr. Ashby followed a calling and created a foundation (A Gift of Smiles) to help close the gaps that exist in dental healthcare for people with special needs. To learn more about A Gift of Smiles, please click here: www.agiftofsmiles.com. Dr. Nancy Rajchel is originally from Amarillo, Texas, and has lived in Mechanicsburg, Pennsylvania since 1992, when she joined Dr. Kearns and Dr. Ashby to practice pediatric dentistry. Dr. Rajchel received her undergraduate degree from West Texas State University in Canyon, Texas, and her dental degree from Baylor College of Dentistry in Dallas, Texas. Deciding to specialize in pediatric dentistry, she then received her specialty training by completing a 2-year pediatric dental residency at Baylor College of Dentistry, Children's Medical Center and the Texas Scottish Rite Hospital in Dallas, Texas, obtaining a Certificate in Pediatric Dentistry. Dr. Rajchel is board certified by the American Board of Pediatric Dentistry and is certified in Pediatric Advanced Life Support. She is a member of the American Dental Association, the American Academy of Pediatric Dentistry, the Pennsylvania Dental Association, Pennsylvania Association of Pediatric Dentists and the Harrisburg Area Dental Society. Dr. Rajchel maintains staff privileges at the West Shore Surgery Center. Dr. Rajchel is the mother of one son and one daughter. She enjoys traveling, camping, fishing, reading and working out at the gym. Dr. Jeffrey Kearns grew up in Mechanicsburg and he attended Mechanicsburg High School where he played basketball and baseball. He obtained his undergraduate degree from Juniata College in Huntingdon, PA and while attending college he continued to play both sports. 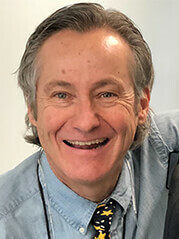 Dr. Jeffrey Kearns earned his dental degree from the University of Maryland Dental School and then went on to the Virginia Commonwealth University to complete his 2-year pediatric dental residency. Dr. Jeffrey Kearns is board certified by the Academy of Pediatric Dentistry. He is certified in Pediatric Advanced Life Support and is on staff at the West Shore Surgery Center. He also is a member of the American Dental Society, the American Academy of Pediatric Dentistry, the Pennsylvania Dental Society, Pennsylvania Association of Pediatric Dentists and the Harrisburg Area Dental Society. Dr. Jeffrey Kearns joined the practice in 2000 and is known to the children as Dr. Jeff. He lives in Dillsburg with his wife, Christina and their two boys, Jared and Cameron. 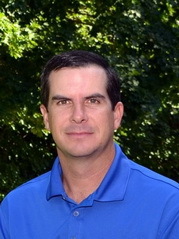 Dr. Jeff enjoys coaching his sons' sports teams, golf, skiing, hunting and vacationing with his family. Dr. Patil was born and raised in Central India. After graduating from dental school in India, he moved to the United States in 2008 for further education. He attended Texas A&M University in College Station, TX to receive his Masters Degree in Public Health. He received his DMD degree from Boston University and worked as a general dentist for 3 years in Erie, Pennsylvania. 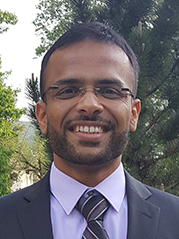 He received his specialty training in Pediatric dentistry from Geisinger Medical Center in Danville, PA.
Dr. Patil is certified in Pediatric Advanced Life Support and is a member of the American Academy of Pediatric Dentistry, American Dental Association and the Pennsylvania Dental Association. Dr Patil’s passion for helping others continues beyond the dental office. Dr. Patil serves as a Captain in the United States Army Reserves. He enjoys spending time with his family and friends, cooking spicy meals, and staying active with his wife through hiking, biking, and running. 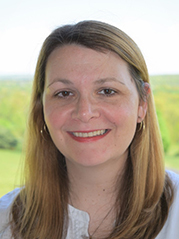 Dr. Kristin Russo grew up in Indiana, PA and Lexington, KY. She graduated from Denison University in 2001 with a B. S. in Biology and French and then went on to obtain her Doctor of Dental Medicine degree from the University Of Kentucky College Of Dentistry. Having spent summers working at her own pediatric dentist’s office during college, Dr. Russo knew early on in her dental school education that she wanted to specialize in treating children and patients with special needs. After dental school, Dr. Russo went on to complete a two-year residency at Virginia Commonwealth University School of Dentistry in Richmond, VA where she earned her specialty certificate in Pediatric Dentistry and a Masters of Science in Dentistry in 2007. 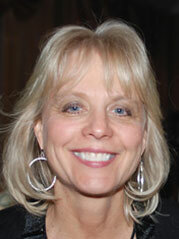 Dr. Russo is a board-certified pediatric dentist and has practiced in both Virginia and Pennsylvania. She is excited to be joining Drs. Kearns, Ashby, Rajchel and Associates! Dr. Russo is certified in Pediatric Advanced Life Support and is a member of the American Academy of Pediatric Dentistry, the College of Diplomates of the American Board of Pediatric Dentistry, and the Pennsylvania Academy of Pediatric Dentistry. In her free time, she enjoys spending time with her husband Scott and their two daughters, Sadie and Elizabeth. She also enjoys reading, snow-skiing, running, music, and cheering on her University of Kentucky Wildcats!